The Golden Temple rivals the beauty of St. Peter’s in Rome, in my mind. This video shows the whole complex tucked in the middle of the ancient city of Amritsar in the Punjab. As spectacular as the site is and yes, that is real gold, it is the Shik’s committment to caring for the poor which really speaks to me. There a kitchen run and stocked completely by Sikh followers that is open 24/7 serving up to 100,000 hungry people with free food. At night, the homeless can sleep under the arcades and even bathe in the pool. 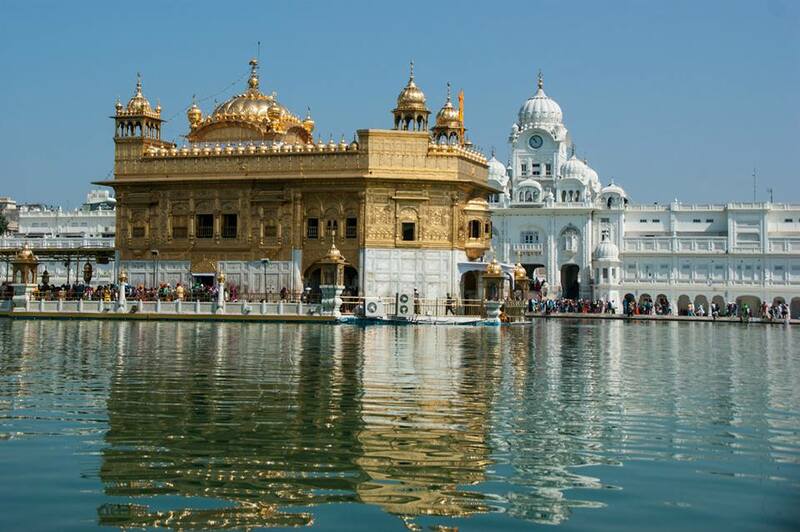 Here is my previous post on the Golden Temple and the Sikh commitment to caring for the poor. Here is an amazing aerial view of the Golden Temple sent to me by by my great Indian resource, Judith. Thanks my friend. This entry was posted in India, Travel, Uncategorized and tagged architecture, blogging, caring for poor, faith, faith in action, feeding the poor, gold, good works, India, langar, religion of the world, Sikh religion, The Golden Temple, tourists, travel, volunteers. Bookmark the permalink.